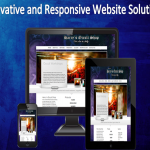 Responsive web design (RWD) is one of today's practical solutions on website development. 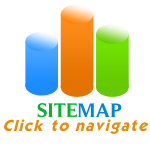 The term responsive pertains to the ability of this web design to be flexibly viewed on most Internet capable devices. 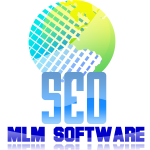 The programming codes behind it allows responsive design to adapt to the screen size and resolution of any computer platform such as desktops, laptops, netbooks, tablet computers, smart phones and other mobile devices. There are many difference in the programming language used on designing a responsive website. The traditional use of pixels, for example, is replaced by percentages and "em" when resizing graphics. Interface design of a responsive site automatically refits and aligns the user's display according to the device's screen size and resolution. The functionality behind responsive web design can be attributed to three web design concept: fluid grids, flexible images and media queries. These three determines the final output of a particular website design when viewed on different devices. Grids are defined as a set of intersecting vertical and horizontal lines creating enclosed square areas of uniform sizes. The idea behind grids is they can be used to layout a webpage placing content s such as texts, images, videos, logos, banners, etc. according to importance and sought overall design. Fluidity among the website's grids means it can adopt the overall design according to the gadget's screen size. A desktop computer running on a 16 unit grid can fully view a web page because of its larger screen size, while a tablet computer may have an eight unit grid. When viewing a particular website on both devices, it does not necessarily equate that all contents from the desktop version are resized to the tablet version simply by dividing its measurement by two. Fluid grids reshape the website design by optimizing the use of spaces and the minimalist concept, which primarily displays only the necessary elements of the website. 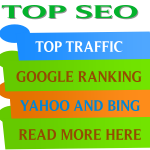 Contents and elements of second importance are loaded later should the user opt to view them. Images can be resized passively through the use of responsive web design. To make an image flexible programmers use units different from pixels such as "em" or through percentages. Some of the responsive techniques employ the use of resizing the image without breaking its length-width ratio. However, there are also responsive techniques that resize the picture through cropping where only a part of the original image is seen. Cropping is normally done when a website primarily designed for a desktop is made responsive through a smaller screened device such as mobile phones. Remember, the concept of grids? 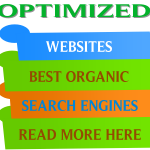 Usually images resize themselves according to them in responsive web design. Cascading style sheet (CSS) has a media dependent support called media queries. What this support feature does is verify the media type or gadget while gathering limits to one expression such as height, width, and colour. Media queries helps in the reshaping of the website design in terms of spacing, layout, and other conditions on the present platform. Data from these inquiries help the programming language optimize view-ability of the web pages. This entry was posted in Web designers, web developer and tagged RESPONSIVE, responsive web design templates, web, web design by DWBM. Bookmark the permalink.